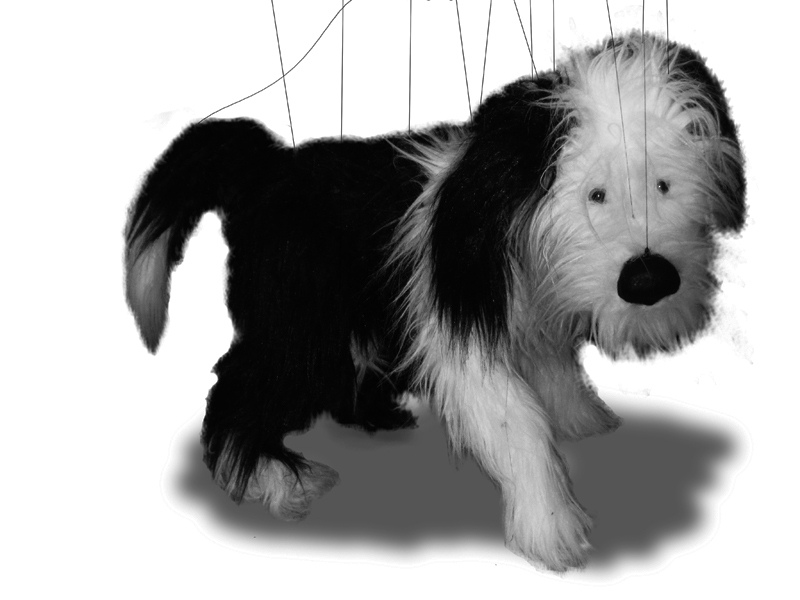 This Marionette Sheepdog was first carved from green foam. The joints on the legs are reinforced with craft plywood. Then everything is coated in epoxy. 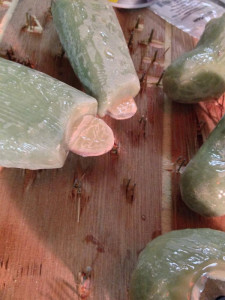 After it is sanded down, all the pieces are sturdy and strong. Everything is then covered in “monkey fur”. 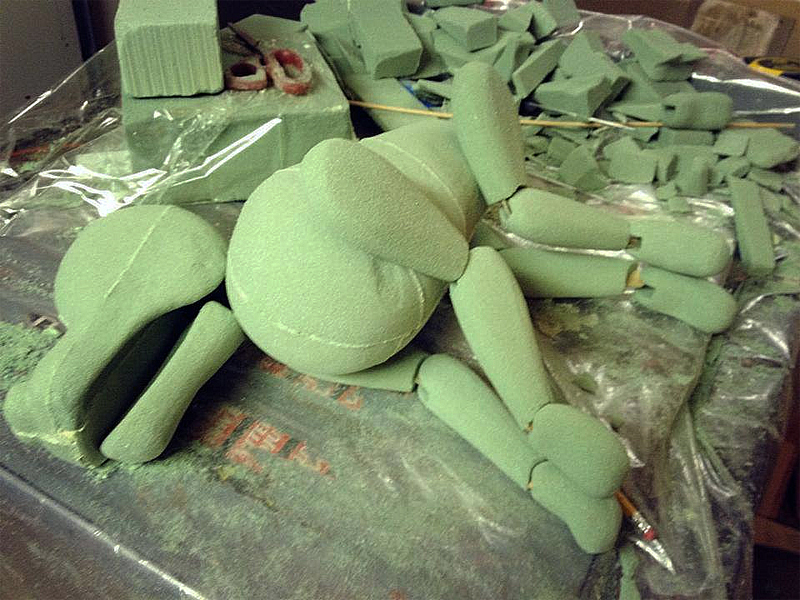 The fur being a four inch nap, was put on with spray glue. The nose is left as the epoxy, but was painted with enamel paint mixed with a black iron oxide. This gives it the realistic look.